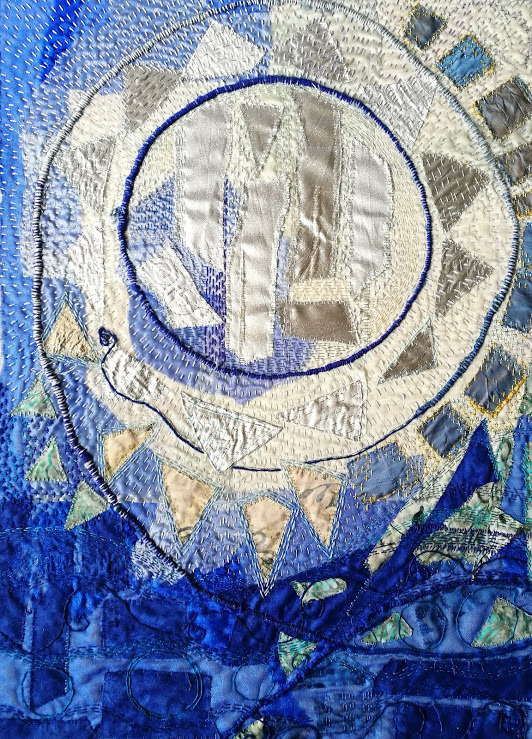 Textile art, inspired by the moon goddess Arianrhod. Hand-stitched by Ann Pawley. I was brought up reading about the Greek, Egyptian and Roman myths with their fabulous hoards of gods and goddesses, their stories of heroic deeds, labours and vengeful deities. But I wasn't aware until I was much older that Britain has it's own marvellous, rich and varied heritage of tales, of magic, mystery and supernatural beings. Discovering them has been a huge joy and a kind of coming home. 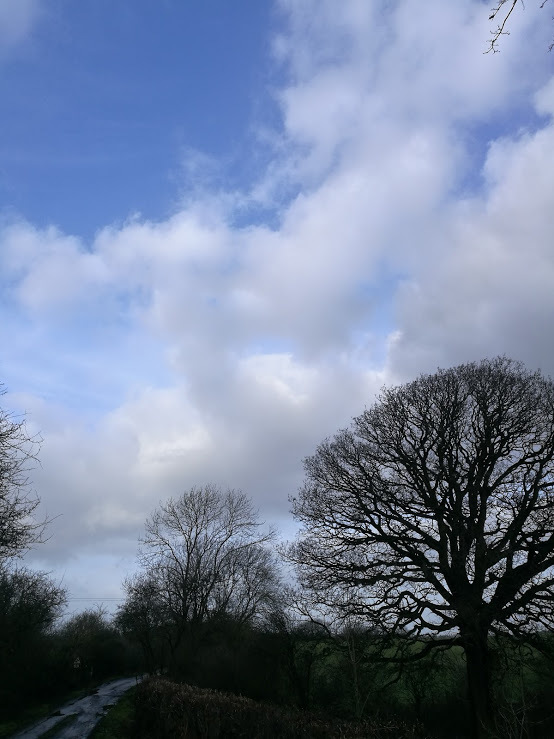 Arianrhod is a female deity/character appearing mainly in the fourth branch of the Mabinogion. You can read about her if you click this link here. As a goddess figure, she is thought of as a moon goddess, symbolised by a silver wheel (which may be a translation of her name), the full moon. She is a goddess of the arts, magic, manifestation, spinning and weaving. With her wheel, she magically weaves the tapestry of life. Like so many people, I am endlessly fascinated by the moon. It's common to find me standing moonstruck, just watching it in all its phases. Moonlight, that wonderful silvery shimmer that is so magical, so powerful, is something I adore.